To capture the full arc of his subject’s life, Tye draws on rare access granted by Kennedy colleagues, friends and family, including unpublished memoirs, unreleased government files, and fifty-eight boxes of papers that had been under lock and key since Bobby’s death in 1968. Tye interviewed more than four hundred RFK intimates including his widow Ethel, his sister Jean, and his aide and closest friend John Seigenthaler – some of whom have never spoken publicly before, and too many of whom have died since. 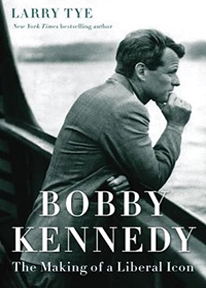 Bobby’s transformation from cold warrior to fiery liberal is a moving personal story that also offers a lens into two of the most defining decades of twentieth-century American history. The first half of RFK’s career underlines what the country was like in the era of Eisenhower, while his last years as a champion of the underclass reflect the seismic shifts wrought by the 1960s. Nurtured on the rightist orthodoxies of his dynasty-building father, Bobby Kennedy began his public life as counsel to the Red-baiting Senator Joseph McCarthy. He ended it with a noble bid to unite working-class whites and poor blacks and Hispanics in an electoral coalition that seemed poised to redraw the face of presidential politics, and that offers a resonant counterpoint to 2016’s campaign of division. Along the way, Bobby turned up at the center of every event that mattered, from the Bay of Pigs and the Cuban Missile Crisis to race riots and Vietnam. Bare-knuckle operative, willful White House insider, romantic visionary – Bobby Kennedy was all of these things at one time or another, and each of these aspects of his personality emerges in the pages of this new biography. For direct links to most of the below events, click here! JULY 13, 5:30: Massachusetts Historical Society reception and talk, 1154 Boylston Street, Boston. Register via the Historical Society’s calendar. JULY 27, 7:30 p.m.: Talk at the Parkway Central Library in Philadelphia, Room 108, 1901 Vine Street. August 2, 6 p.m.: Talk sponsored by O’Neill and Associates at the Boston Harbor Hotel, 70 Rowes Wharf. AUGUST 7, 9 a.m.: Private talk at Falmouth Jewish Congregation, 7 Hatchville Road, E. Falmouth, MA. AUGUST 9, 2 p.m.: Talk at the Dreamland Theater, 17 S. Water Street, Nantucket, MA. AUGUST 10, 10 a.m.: Talk at the Osterville Village Library, 43 Wianno Avenue, Osterville, MA. AUGUST 10, 5 p.m.: Reception at JFK Hyannis Musuem, 397 Main Street, then 6:30 talk at Cape Codder Resort, 1225 Iyannough Road, Hyannis, MA. AUGUST 12, 12:15: Talk at Sacramento Seminar, North Beach Restaurant, 1512 Stockton Street, San Francisco. AUGUST 12, 6 p.m.: Talk at California Historical Society, 678 Mission Street, San Francisco. AUGUST 14, 10:50 a.m.: Talk at St. Ignatius Church, 650 Parker Avenue, San Francisco. AUGUST 14, 3:30 p.m.: Talk at Oakland Public Library, 125 14th Street, Community Room. AUGUST 15, noon: Talk at Commonwealth Club, Gold/Small Room, 555 Post Street, San Francisco. AUGUST 15, 6 p.m.: Discussion of Election 2016 and Lessons from 1968 at Robert F. Kennedy Democratic Club, San Francisco. AUGUST 16, noon: Talk at Mechanics’ Institute, 57 Post Street, San Francisco. AUGUST 16, 6 p.m.: Talk in Koret Auditorium, Main Library, 100 Larkin Street, San Francisco. AUGUST 17, 7 p.m.: Talk in Taper Auditorium, Central Library, 630 W. 5th Street, Los Angeles. AUGUST 18, 7 p.m.: Talk at Richard Nixon Library, 18001 Yorba Linda Boulevard, Yorba Linda, CA. AUGUST 27, 4 p.m.: Talk at Cotuit Library, 871 Main Street, Cotuit, MA. SEPTEMBER 12, noon: Talk at AFL-CIO headquarters, 815 16th Street NW, Washington, D.C.
SEPTEMBER 13, 7 p.m.: Talk at The Potter’s House, 1658 Columbia Road, Washington, D.C.
SEPTEMBER 14, noon: Talk at Library of Congress, James Madison Building, 101 Independence Ave. S.E., Washington, D.C.
SEPTEMBER 15, 7 p.m.: Talk at D.C. Public Library, 330 7th Street NE, Washington, D.C.
SEPTEMBER 20, 6 p.m.: Reception and talk at Algonquin Club, 217 Commonwealth Avenue, Boston, MA. SEPTEMBER 21, 7:30 p.m.: Talk at NewBridge on the Charles, 5000 Great Meadow Road, Dedham, MA. SEPTEMBER 22, 6 p.m.: Talk at the Boston Public Library, 700 Boylston Street. SEPTEMBER 27, 6 p.m.: Talk at Chicago Public Library, Cindy Pritzker Auditorium, 400 S. State Street. SEPTEMBER 28, noon: Temple Solel lunch/learn, Jenner and Block law firm, 353 N. Clark Street, 45th floor, Chicago. SEPTEMBER 28, 7 p.m.: Talk at Old St. Patrick’s Church, 700 W. Adams Street, Chicago. SEPTEMBER 29, 11:30 a.m.: Satchel Paige talk at SABR lunch, Union League Club, 65 W. Jackson Blvd, Chicago. SEPTEMBER 29, 7 p.m.: Talk at Irish American Heritage Center, 4626 N. Knox Avenue, Chicago. SEPTEMBER 30, 8 p.m.: Talk at Temple Emanuel, 5959 N. Sheridan Road, Chicago. OCTOBER 5, 6 p.m.: Talk at John F. Kennedy Library, Columbia Point, Boston. 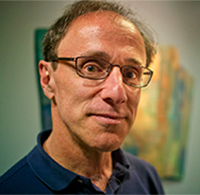 OCTOBER 6, 6:30 p.m.: Talk at Framingham (MA) Public Library, 49 Lexington Street. OCTOBER 17, 6:30 p.m.: Private talk at the University Club, 1 W. 54th Street, New York. OCTOBER 19: Evening reception/talk at the Vera Institute, 233 Broadway, New York. OCTOBER 20: Evening talk at Columbia University Library, 535 W. 114th Street, New York. OCTOBER 24: 7:30 p.m. at Concord Book Festival, Newbury Court/Morrison Theater, 100 Newbury Court, Concord, MA.